To inventory the research centers and private or public bodies involved in this issues: detecting local, national, regional data on issues affecting the working life; employment and job trends from governmental reports and from employers and workers organizations; research papers from academia. To get in touch with the ILO offices in the European countries in order to make known the project and to envisage common actions, to capture ILO initiatives, data, reports, publications. To make proposals in order to improve and develop the initiatives proposed by the IEA “future of work” task force. To set up an European observatory on the Future of work linked with the IEA observatory. The aim of the Observatory is to capture and report data and news of ergonomics interest about trends on the world of work identified in each country in order to create an ergonomics observatory unit in (geographical) Europe. To prepare the initiatives to set up in the year 2019 with ILO. Please send comments / proposals to Pascal Etienne secretary-general@ergonomics-fees.eu. IEA has decided to be involved in the ILO project on the future of work, launching a reflection conducted by a task force whose leader is our colleague Juan Hiba, from Argentina. In two documents released in January 2018, our colleague make proposals which are sum up below. It is important that FEES, in the frame of the MoU adopted with IEA, takes part in this project and sets up a FEES task force in order to specify actions to conduct in 2018, 2019 and maybe further. We will present below both IEA projects and the possible way of working on this issue for the FEES member societies. Two proposals have been made by J. Hiba on behalf of the « future of work » task force : to set up a White paper on the future of work and an Observatory. They are sum up below. 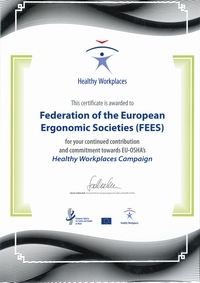 This initiative links the prospects of the future of ergonomics as a science and technology with the ILO initiative of its centenary named “The Future of Work” and could be a roadmap for guiding IEA’s and its affiliated associations on how to gain ILO interest for paying more attention to ergonomics from now on. A strategy should be developed to ensuring that the White Paper reaches all the ILO levels: headquarters and in the field. 1 Presentation of ergonomics as a science and technology; (ii) summary of the background of joint activities carried out; and (iii) focus on the concurrent circumstances of the future of ergonomics and the future of work and therefore the opportunity for discovering key aspects of common actions. Work and Society: new scenarii; changes in the workers and employers identity ; globalization ; new digitalized technologies and communications; hyperconnectivity. Decent Jobs for All: full employment ; safe and free productive work, social protection, union rights, remuneration. The Governance of Work: to identify the rules, processes, and institutions needed in the future to make work decent and societies just. A special attention should be given to point out the links of ergonomics to the most current issues of interest to the ILO, such as the green economy, the phenomena of offshoring of companies, jobs in the computer world, robotization of many jobs, issues of safety and health at work and participation of workers in the processes of improving their working conditions. 4 list a series of tentative activities and initiatives offered to ILO. 5 Collaborators mentioned : Yushi Fujita, Kathleen Mosier, José Orlando Gomes; Andrew Todd, Thomas Alexander, Sarah Sharples, Juan Carlos Hiba, + Sara Albolino and Valérie Pueyo. 6 Language of the document: the three official languages of ILO: English, Spanish and French. The aim of the Observatory is to provide periodic information on situations, trends and work cases that establish, set or modify different aspects of the quality of life of workers; to give support and encourage carrying out of studies and research on ergonomic aspects of quality of life of workers in the local socio-economic and labor environments; and to promote greater knowledge (principles and values) and disseminate examples of application (approaches, methods and technical tools) of ergonomics and human factors for improving the quality of working life. launching warnings, calls for attention and organizing advocacy actions among stakeholders to ensure that ergonomics is more and better known and to disseminate the potential contributions that could be made in those cases. Journalistic notes, interviews and articles from scientific works of refereed journals; reports, or books from research centers; publications of governmental agencies; declarations or manifestos emanating from scientific congresses, reports from employers 'and workers' organizations; regulation in collective agreements or laws, decrees, resolutions and reports adopted by governments or specialized agencies. 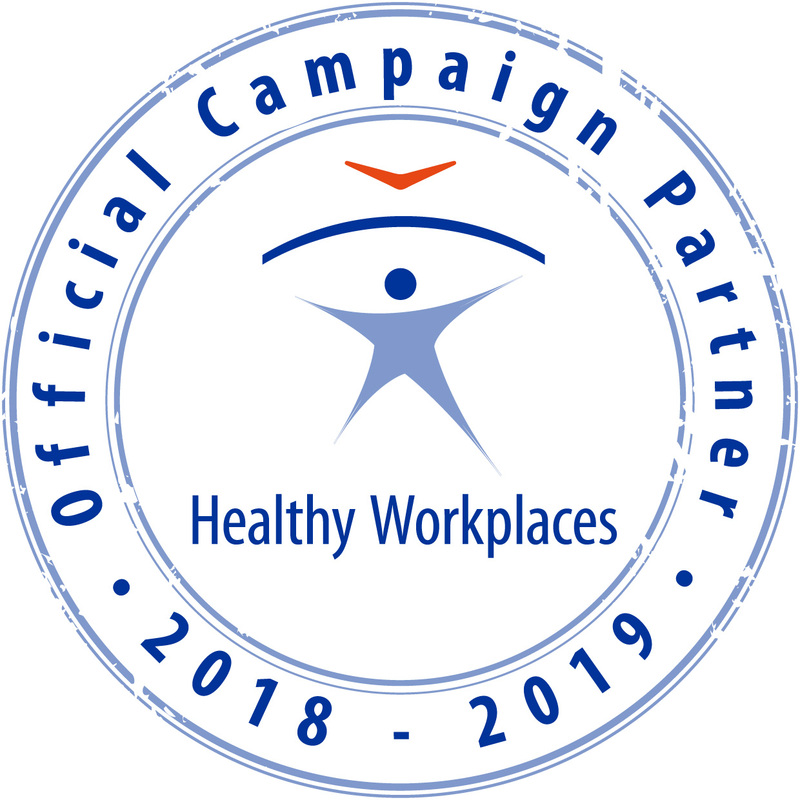 National ergonomics associations, their members and professional, teachers, researchers, officials from governments, members of employers' and workers' organizations; news agencies ; employers, workers and public in general.